As we know, Karan Johar’s Ae Dil Hai Mushkil that released last week went well at the box-office joining the ‘Rs 100 crore club’ as well. For that he, graced a small part at his residence in Bandra wherein the star cast of the movie and some friends like Aditya Roy Kapoor, Amir Khan’s wife Kiran Rao, Ayan Mukerji, Zoya Akhtar and Chopra made their presence. 2016’s most loved regional film, Sairat, now will have a Hindi remake, produced by none other than director, Karan Johar. 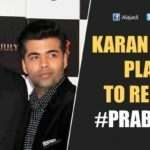 According to the reports, Karan Johar‘s Dharma Production has acquired the remaking rights of this film. A team of writers is finalising the draft of the film and the makers are reportedly hunting for a new bunch of actors to feature in this film. According to latest update, Karan might introducer Sridevi’s elder daughter Jhanvi Kapoor in this remake which might mark the debut of Jhanvi in Bollywood. Sairat is a 2016 Indian Marathi-language musical romantic drama starring Rinku Rajguru and Akash Thosar. 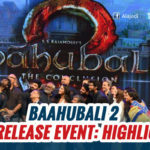 It is directed by Nagraj Manjule and produced by Nagraj Manjule, Nitin Keni, and Nikhil Sane under the banner of Aatpat Production, Zee Studios and Essel Vision Productions. Many eyed upon this film but looks like Karan bagged it finally. He is already remaking Mani Ratnam’s recent outing OK Kanmani (Ok Bangaram in Telugu) in Hindi titled Ok Jaanu which features Aditya Roy Kapur & Shraddha Kapoor as the lead pair.